Is there anything like Summer in Europe? The beaches, the long balmy nights, the parties, the food… The list goes on and on. Tom and I spent some wonderful times partying our way around Europe over two Summers. We had some definite favourite destinations which I would like to share. Of course there are a multitude of wonderful Summer destinations but these are the experiences we had and loved. Summer in Italy! Mi amor! We spent a blissful month travelling through Italy with Tom’s sister in the heat of August. We spent time by the seaside, in cities and on the beautiful isle of Sicily. While Rome is always a great idea, in the blistering heat of August it can get a bit stifling wandering the wide streets with the sun beating down on you. The same goes for Florence, luckily while we were in Florence we stayed in a hostel with a pool which is where we spent a lot of time because it was HOT! Our favourite Summer retreat in Italy has to be Cinque Terre. Absolutely breathtakingly beautiful, these 5 villages on the coast offer a wonderful respite from the hot Summer days. We spent wonderful days eating pizza high up over the ocean then wandering down what seemed like a million stone stairs to finally dive into a crystal clear blue sea. We travelled by boat between villages so eat late suppers as sun set over the ocean. Limoncello also goes down a treat when iced and drunk looking out over a glistening ocean! Even hiking in the heat is enjoyable when you have the views that the Cinque Terre offers. We were based in Riomaggiore and over 4 days hiked between the different villages. 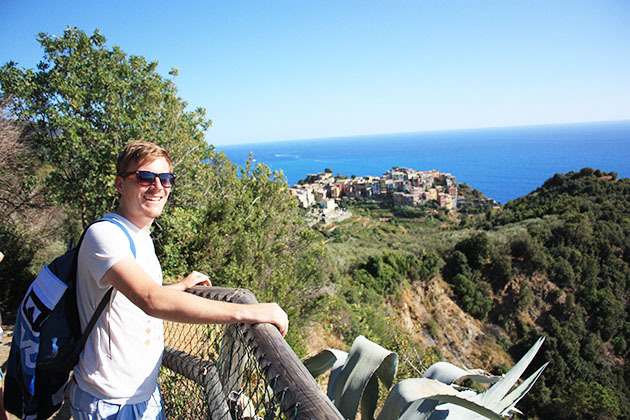 For more on hiking through the Cinque Terre, read our article here! Ahhh Spain! What a beautiful country to explore when the sun is shining, the wine is flowing and the tapas are calling your name. Siesta’s are the name of the game when spending Summer in Spain. During our 10 days in San Sebastian we were well versed in the game of sleeping late, a swim to wake up, some tapas, a siesta, some more tapas and then party till the break of dawn! 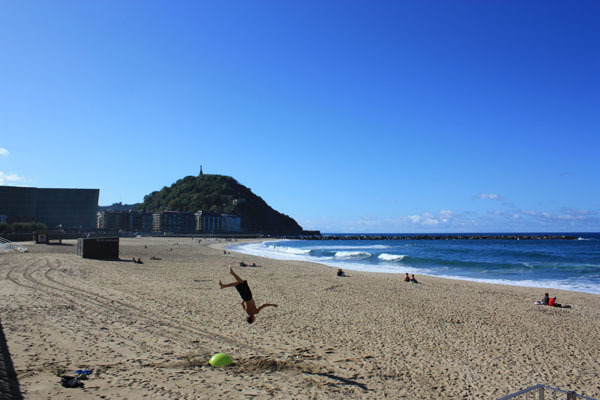 While there is a lot to offer in San Sebastian, including the famous pintxos – the areas version of tapas that are quite possibly the most delicious thing you will ever come across – it’s also a fantastic party town and as such we soaked this up. Siesta’s are the name of the game when spending Summer in Spain with Alpharooms. Partying in Summer in Europe is fantastic, the sun is up late and the weather is delightful. You are never forced inside and the parties can spill out across cobbled courtyards till the wee hours. Ensure when spending your Summer in Europe you embrace at least one all nighter! We can’t talk about Summer in Europe without mentioning sailing through Croatia. We spent a week on a boat sailing from Dubrovnik to Split, stopping every night at a new and delightful Island location. 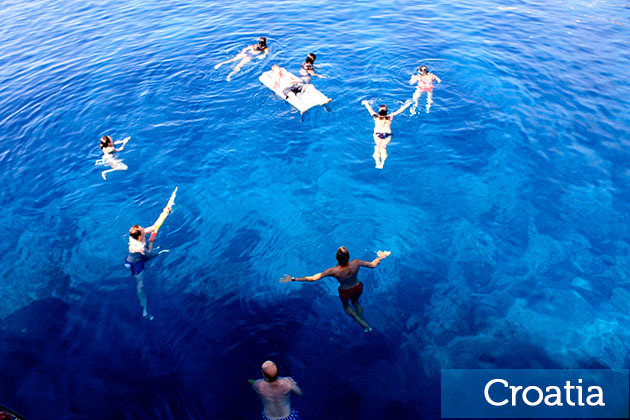 The days were spent napping, making new life long friends and diving off the boat into crystal clear, stunning water. The nights were spent embracing the famous Croatian night life! We even partied at the party island that Beyonce and Jay-Z like to party at, not at the same time unfortunately! This has to be one of our favourite Europe adventures and we highly recommend it for anyone looking for a Summer European adventure! Wherever you decide to go this Summer know that you will find good food, beautiful views and always the chance for a party!